Some of the best Onion Soup I have had has been in Amsterdam. 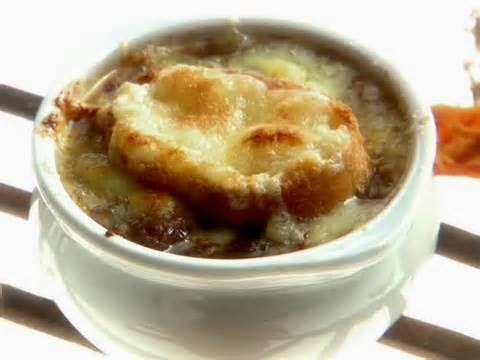 Admittedly, it can't be called 'French' but the brown cafes in the Dutch city serve some delicious onion soup with a large lump of toasted cheesy bread floating in the thick onion laden liquid. You cannot beat it for a true comfort food on a cold rainy day. 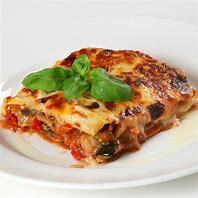 Why not cook it for your friends or family. They'll love it. 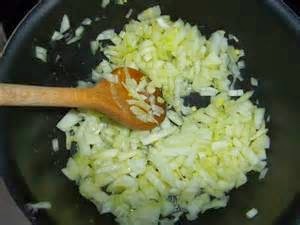 Melt the butter in a large saucepan and add the onions and sugar. Turn down the heat so it is simmering and cook the onions very slowly for 20 to 30 minutes until they are softy and really golden brown. Stir occasionally and be careful that they do not burn. Stir the flour into the onion mixture and cook over a very low heat for 5 minutes stirring lots so it doesn't burn or stick to the bottom of the pan. Add the stock and a dash of salt and pepper. 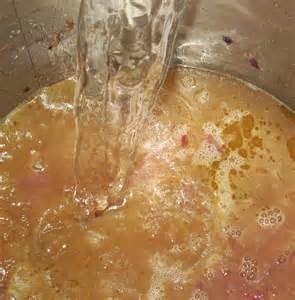 Turn up the heat so that the soup boils, stir all the time, then turn down the heat and simmer for 20 minutes. Taste the soup and add more salt and pepper if you want. Meanwhile toast the slices of French bread. 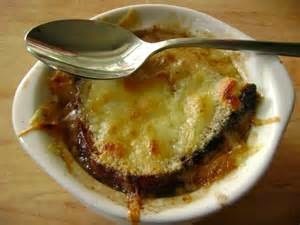 Put a piece of toast in each bowl and sprinkle with grated Gruyere cheese. Spoon the hot soup over the bread.